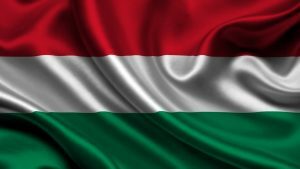 The Hungarian Constitutional Court has ruled that the Unified Patent Court Agreement can’t be ratified, as no appropriate mechanism for the ratification is available. The EPLAW’s website reports an English language summary of the decision is expected to be published at www.mkab.hu soon. Up to now, 16 member states have ratified the UPCA. The big question is what will happen in Germany, where a constitutional complaint was filed last year against German ratification of the UPCA. It is not clear when the Federal Constitutional Court (FCC) will decide on the case, though it is likely this will happen in the second half of this year. The complainant, patent attorney Ingve Björn Stjerna, argues that for ratification of the UPCA a two-thirds majority in both houses of parliament is required. He claims that ratifying the UPCA brings about an illegitimate transfer of sovereign rights from Germany to the EU and that UPC judges are not independent, among others. The German complaint is a much bigger threat for the UP system than the Hungarian issue. It could potentially cause delays for the introduction of the Unitary Patent system or even derail it. In order for the system to start, German participation is required. Apart from that, there is a serious risk that the UK will have left the European Union by the time the FCC decides about the German case, which means the UK can no longer join the UP system and will lead to a lot of uncertainty about its future. From the EPLAW blog, it becomes apparent that the reason for not ratifying the UPC lies in the fact “that the UPC Agreement as an international agreement made in the framework of enhanced cooperation deprives the Hungarian courts from having competence for judicial review on a group of domestic legal disputes of individuals. As such right for judicial review is exclusively reserved for Hungarian courts under Article 24 (2) of the Basic Act, the UPC Agreement cannot be ratified based on the current wording of the constitution.” Was this not foreseeable up-front? Probably the wish of having a training centre for UPC judges in Budapest muffled any contrary thoughts. The question raised is nevertheless quite interesting, and may not only be a constitutional problem in Hungary but also a potential constitutional problem in other countries. To my knowledge, the UPC has never been scrutinised by constitutional specialists, in any member state, although it might have been good to do so. It would also having been good as well to have the CJEU looking at it. There might have been good reasons not to do so, but then why not make those public? Merely claiming that the UPC is in conformity with Opinion C 1/09 is an allegation. The UPC will certainly not any longer be in conformity with C 1/09 should the UK be member of it after Brexit, and even worse if, as suggested here and there, non-EU member states could join it. There remains a problem in the UPC, as well as in the EPC, that is the absence of revision instance as to the substance. In both treaties revision is only possible for procedural reasons. A great variety of R decisions of the EBA of the EPO shows a fear to be dragged in substantial matters rather than procedural ones. And yet, it does not seem enough to have the EBA, and hence the Court of Appeal of the UPC, only acting in case of grossly diverging decisions where it comes to the interpretation of the EPC/UPC, but also in more delicate cases where it is a matter of substance. On the other hand, I fail to see where some people take the certainty that it is likely that the decision of the FGCC will happen in the second half of this year. When looking at the agenda of the rapporteur, the complaint relating to the UPC is on position 10 on his list. In position 8, there are the four complaints about the independence of the Boards of Appeal of the EPO. The two affairs are not directly linked, but are nevertheless related, as in both cases the independence of the judges is at stake. There is no date yet set for the EPO cases, and hence, it appears logical to considered that no date is set for the UPC complaint. If clear information is available that the UPC case will be dealt with before the EPO case, than make it public, but stop making suppositions in this respect. It is getting boring, not to say annoying. A civil servant may be appointed as a temporary judge under two conditions: he must be a lifetime civil servant and may not be reappointed a second time as a judge. If this rule should apply mutatis mutandis to the members of the Boards of Appeal of the EPO or the members UPC, I am curious to see what the answer to the four complaints concerning the EPO’s Boards of Appeal and Mr Stjerna’s complaint concerning the UPC will be. That national judges can be temporarily sent to the ECJ, or to the Boards of Appeal of the EUIPO in Alicante, to then return to the national judiciary in their country of origin would therefore not be objectionable, if their nomination remains a single event. But certainly not if they are not appointed for life, and when a reappointment is to be decided by the Administrative Council of the EPO, on some obscure rules regarding their production/productivity, or by the Administrative Committee of the UPC, even if the Presidium of the UPC is heard. That the Presidium of the UPC can even demote a sitting judge, with not having the faintest idea why is also not satisfactory. There are no means of redress foreseen in the UPC for a demoted judge. Is this acceptable? I have some doubts. Any negative decision about a member of an International Organisation, and the UPC is one, should be able to be challenged. In view of its formalistic approach, preferably not at the ILO-AT. But then where? It might be the moment to create an international court for settling disputes between staff and administration of international organisations in Europe other than the CJEU which is reserved to EU staff. Such a court should also be in a position to give its opinion about the legality of some rules of employment and not merely to check that the existing rules have been correctly applied. The last decision of the GFCC sheds a different light on the complaints it about the EPO’s Boards of Appeal and Mr Stjerna’s complaint about the UPC. They appear prima facie in line with Prof. Bros’ well known position. I see here a new challenge to the UPC. Much higher than the fact that the quota for ratification might not have been attained in the ratification vote. The constitutional deficits of the UPC should not be dismissed. The UPC Agreement attempts to confer exclusive jurisdiction upon an international organisation that, at least in my view, lacks appropriate checks and safeguards (including those supposedly guaranteed under EU law). A couple of thought experiments help to exemplify the magnitude of the deficits. Firstly, what would happen if the President of the UPC were to (attempt to) interfere with the independence of the judiciary of the UPC? However, a question to which I currently have no answer is how on earth such manifest deficiencies were not dealt with before the UPC Agreement was finalised. The reference to an “irksome” judge by Concerned Observer is probably only fortuitous, and bears no resemblance with events having happened, or for existing persons…. As far as staff regulations in general are concerned, it is foreseen that the Administrative Committee establishes the Staff Regulations of officials and other servants of the Court, cf. Art 16(1) Annex I to the UPCA. To my knowledge, nothing has yet transpired from any of the committees preparing the implementation of the UPC in this respect. Let’s just hope that the ILO-AT will not be the forum chosen. It appears therefore that the UPCA has another problem, how can disputes between judges of the UPC and the UPC be resolved? This should have been decided up-front and not afterwards. This could thus represent another constitutional problem, not only in Hungary.